When my husband and I moved to Florida, we met a really sweet couple from the church we started to attend. We’ll call them Friend and Friend’s Husband. I call her by friend and she does the same for me, but that’s another story altogether. We all share the same nerdiness. Friend’s Husband and my Husband like computers, building them, and first person shooter games (aka FPS), while Friend and I like movies, books, and other such things. We would watch movie together at least once a week and even tried to do a full Harry Potter marathon (not sure we made it through all eight). 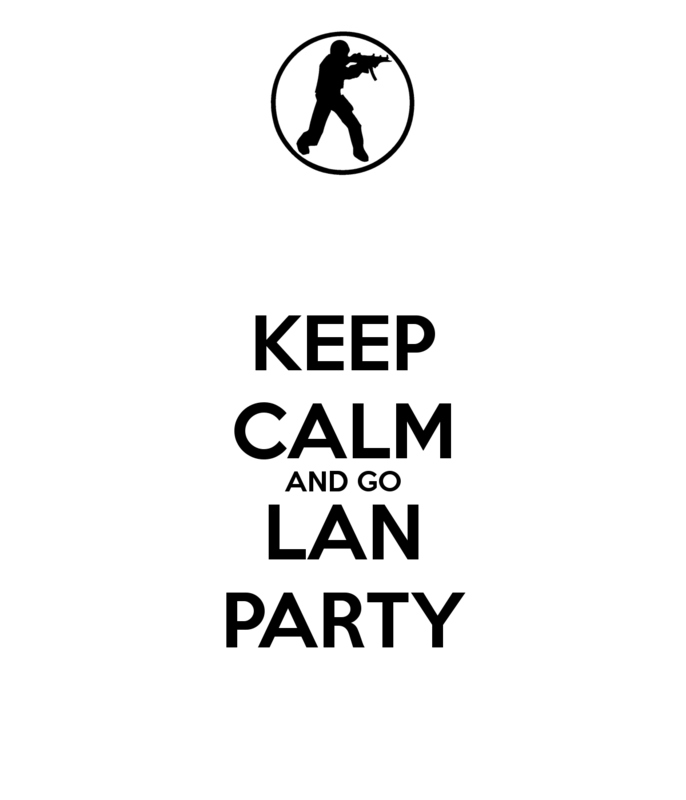 One day, Friend’s Husband asked us to come to a LAN Party (Local Area Network). I was extremely clueless as to what he was talking about, however my husband, very quickly, said yes! I have to admit, I felt pretty stupid when I asked my husband what he said yes to. Apparently a LAN Party is when you get to play games with other gamers and snack on goodies. They set up a bunch of computers (you can even bring your own if you’d like), all with the FPS Unreal Tournament on them, then link them together on the same network and BAM, instant gaming party that can last for hours! Oh, and there was lots of food and pizza! The first LAN party was a blast. I believe it was even the first time I ever played Unreal Tournament. I’m not entirely great at FPS games, nevertheless I was quite happy when my kill score was higher than my husbands. Of course, that did not happen nearly as often as I would’ve liked. Since then we’ve been to every LAN party they hosted, even from 3,000 miles away. Although we play Unreal Tournament still, we have upgraded to playing Modern Warfare (MW) and Battlefield 3 (BF3). Last Saturday was our most recent party. We had a tough time trying to get into the game/network (tends to happen when we don’t run practice connections beforehand), but as soon as we were able… IT WAS ON! There is one map in Unreal Tournament where we played capture the flag, but the map was so short you could see the enemies flag have of a football field away from you. It is definitely the most entertaining map as we had about 12 or so people hopping around grabbing the flags and killing each other. Sometimes you couldn’t tell where you were compared to everyone else, or if you even grabbed the flag. I don’t even want to say what my death toll was for that map. It’s embarrassing. Needless to say, after the many LAN parties we have attended, I can sufficiently say that my kill score is now steadily higher than my husbands. Of course, I’m not nearly as good as the other friends we were playing with. It will take a long time of playing FPS games before I even get to that. However, when my husband and I play one on one in BF3 or Call of Duty, I tend to always be the dead one. I can say, I’ve learned a lot from him. It is sad that the party doesn’t last longer, but honestly, I can only take so much of FPS games. After a while I start to get a bit nauseous. This is why I like playing games like World of Warcraft, Lord of the Rings Online, Star Wars: The Old Republic, and Star Trek. These are all MMORPG’s (Massive Multiplayer Online Role Playing Game). They are not the only games I play, but I do like them the most. I’d like to know, what is your favorite video/pc game to play? Lastly, check out this video by K-FaceTV on YouTube! They do incredible parodies! Made this shirt for my daughter who insists that Owen Grady is her boyfriend!! What do you think @prattprattpratt ? I believe she wants to be in the movie business!! I have no clue what she is saying but @disney maybe? She is ready to be the Belle of her birthday!! Soo cute! She doesn't want to take it off!! Lol. Now I need to make our aprons! Daughters 3rd birthday is at the end of the month so I am starting work on a belle dress for her belle themed party!! Jon Angell on Nine Month Project!